The Valley of the Kings is a valley in Egypt where for a period of nearly 500 years from the 16th to 11th century BC, tombs were constructed for the kings and powerful nobles of the New Kingdom (the Eighteenth through Twentieth Dynasties of Ancient Egypt). 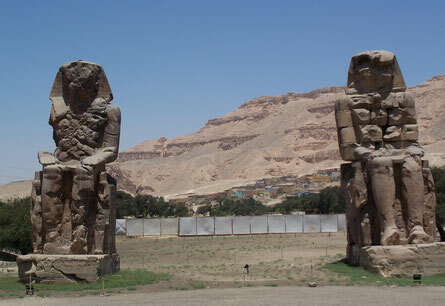 The valley stands on the west bank of the Nile, across from Thebes (modern Luxor), within the heart of the Theban Necropolis. 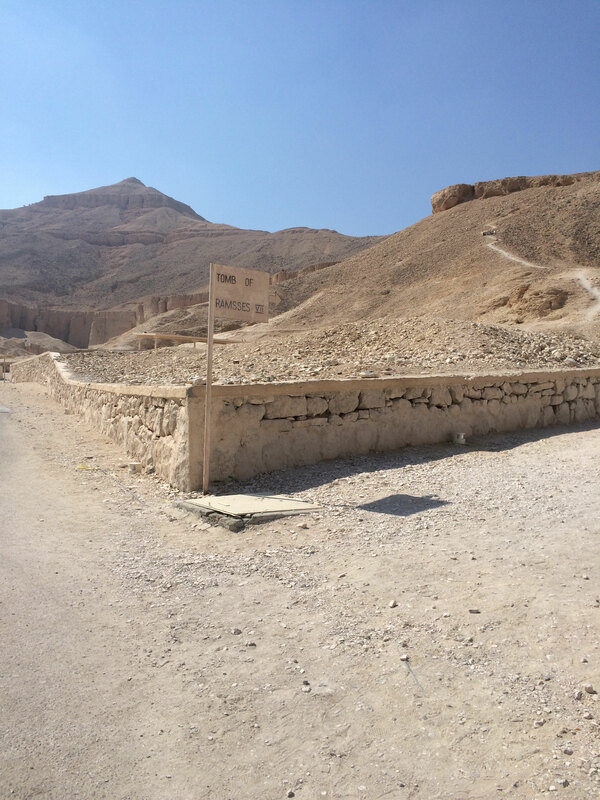 The wadi consists of two valleys, East Valley (where the majority of the royal tombs situated) and West Valley. These two gigantic, 59-foots tall statues are the first sight that greets visitors who take the ferry across from the East Bank. They were made famous in antiquity by a mysterious sound emitted from one of them each sunrise. Scientists now think that this sound was caused by air passing through pores in the stone as it was warmed in the sunlight, but there is no way to confirm this since the sound stopped centuries ago.